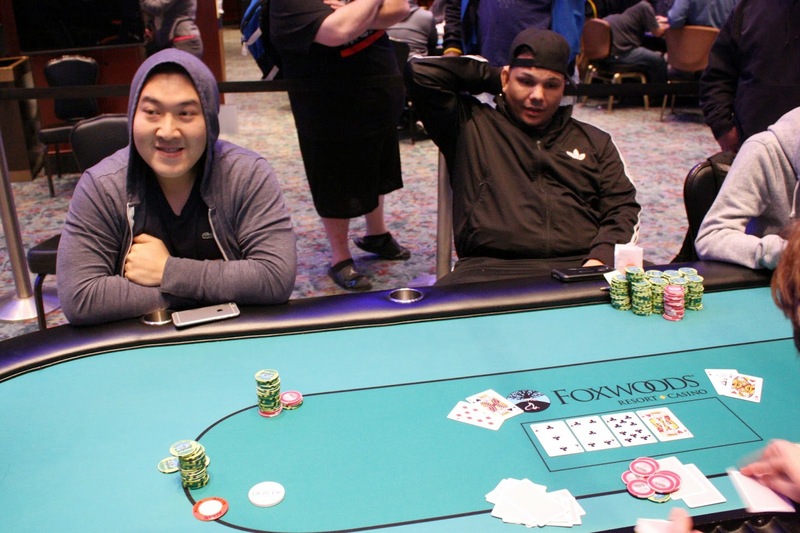 Chris Leong lost a chunk of his stack when he was bluffed off an ace high board by Djony Centeio. 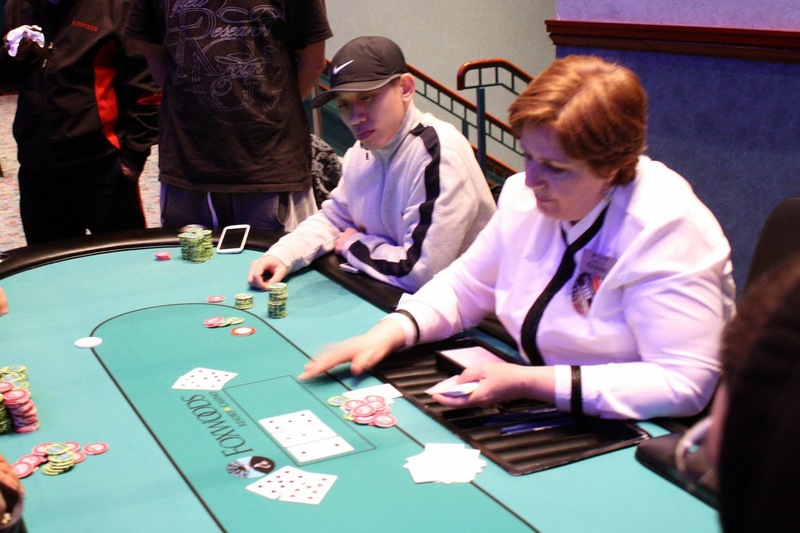 He finally got the rest of his stack in with [As][Qh] against fellow short stacked Dennis Zollo's [Ks][Td]. The [3c][5c][Tc] flop paired Dennis, and the [Kh] gave him two pair. Chris would need a jack to survive, but instead the [Ah] hit the river. The stacks were so close they were counted down, and amazingly the two each had exactly 525,000. 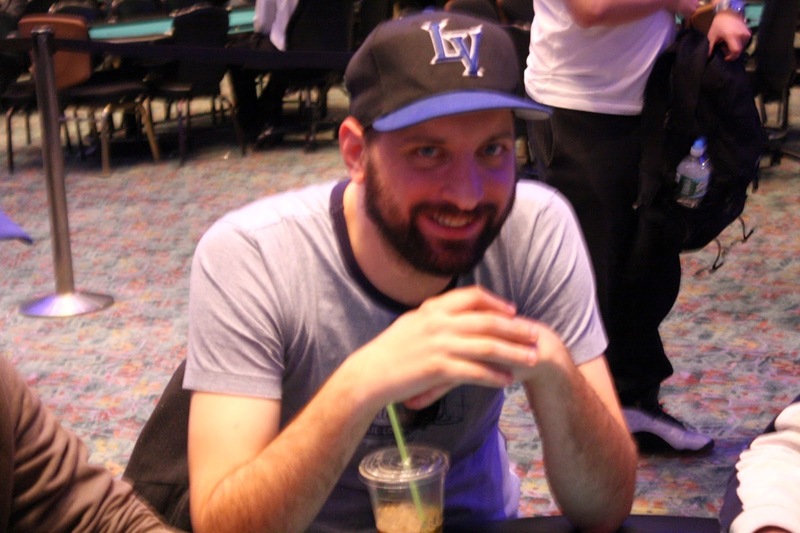 Chris will exit this tournament in 6th place, good for $7,177. Daniel Chan has been eliminated in 7th place when his pocket sevens ran into pocket nines. He will earn $5,888 for his efforts. Christopher Macneil was all in with [Kh][Jd] and was racing against [2s][2h]. The [5s][4s][9c] failed to bring a king or a jack, and the [2d] on the turn meant Christopher was drawing dead. A jack hit the river to spite Christopher, and he will head to the payout desk to collect $4,600 for his 8th place finish. 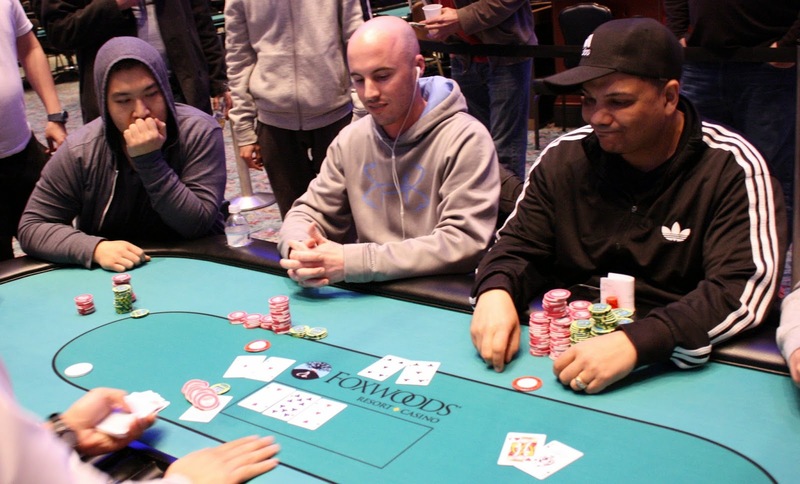 From under the gun, Sean Curtin moved all in. Frank Flowers moved all in over the top next to act, and the table folded around to Chris Leong in the big blind. Chris looked down at his cards and said call, tabling [Ah][Ad]. Sean held [5s][5c] and Frank had [As][Kh], so Chris was in pretty good shape to triple up and knock out an opponent. The [2h][Tc][3h] flop was safe, as was the [9h] turn. The [Js] landed on the river, and Sean will exit the tournament in 9th place, good for $3,593. 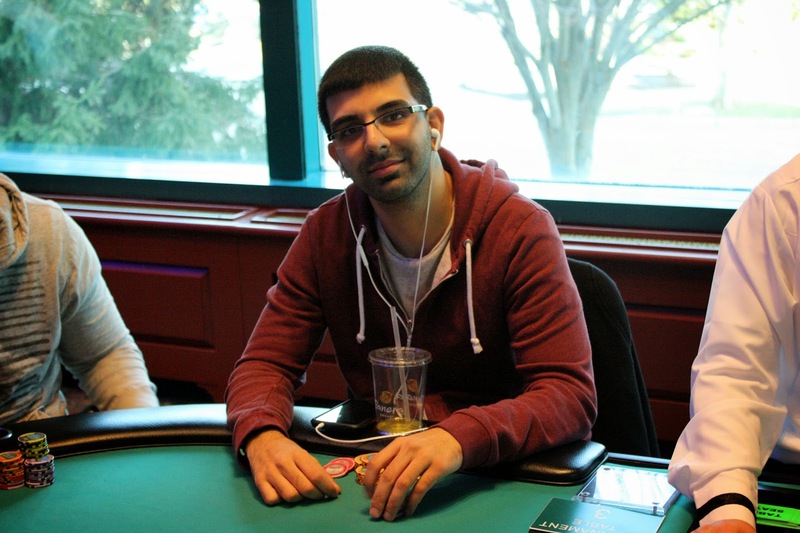 Ben Nakhoul was all in from the button and was called by Frank Flowers in the big blind. It was a race with Ben's [Ac][Js] against Frank's [Ts][Th]. The pocket pair held through a [6h][4c][7c][8d][8c] board, and Ben will be eliminated in 10th place. He will collect $2,612 for his efforts. It's been only 50 minutes since dinner break, and in that time we went from 18 players to 10. 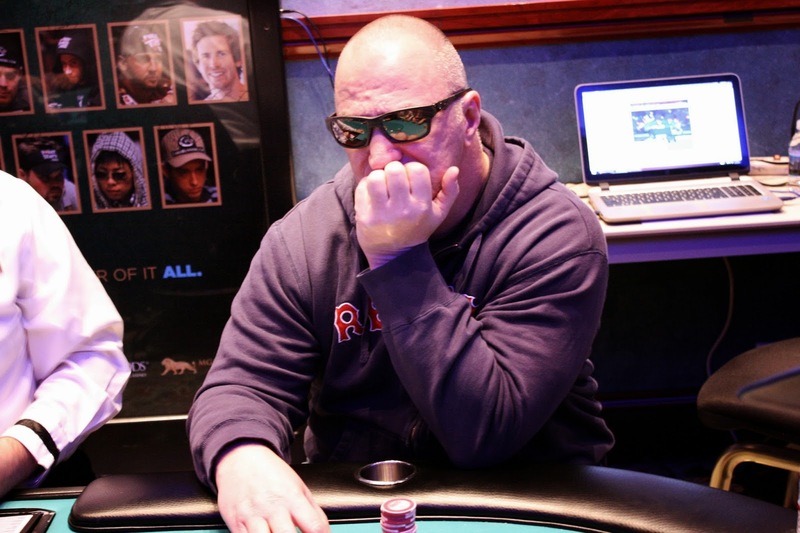 We lost Jon Besancon in 12th place ($2,612) and Bobby Riccuti in 11th place ($2,612) to get to the final table. Players are now redrawing for their seats at the final table. The final 18 players are now on their one hour dinner break. Below are chip counts and seating assignments for the final two tables. Blinds will be 15,000/30,000 with a 5,000 ante when play resumes at 8:40pm EST. It was a rollercoaster of a hand that finally broke the final two table bubble, and we saw Tarun G. go out in 19th place as a result. It started with the UTG player moving all in for 106,000 at 12,000/24,000 blinds. Action folded to Chris Leong, who called the bet, before Tarun G. moved all in from the small blind for a little over 400,000. 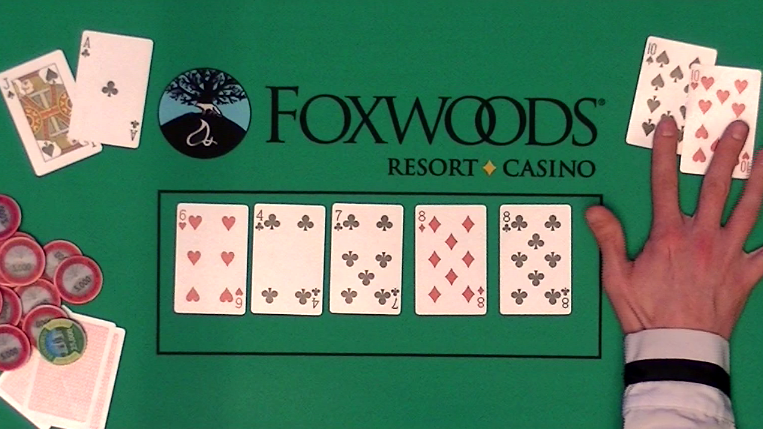 The big blind had to think for a bit, but he folded and then Chris snap called. The [6d][6s][4h][Kh][8c] board meant that the UTG player would triple up and Tarun G. would be eliminated. After the hand, Chris was up to 750,000, and the final 18 players redrew for new seats. We have 19 players remaining as Level 24 wraps up. Those plays are now playing 12,000/24,000 blinds with a 4,000 ante. 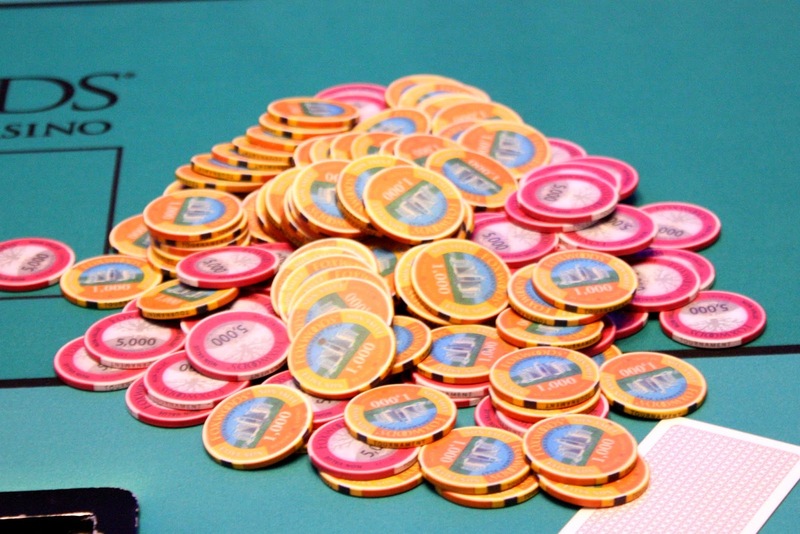 After this level, there will be a 1 hour dinner break, and tournament staff will color up and race off the 1,000 chips. There is a redraw at the final 18 players, which should likely be during this level. We are down to the final 36 players in Event #14 $400 NLH, which means that only four tables remain. All players are now guaranteed a minimum $1,104, but all eyes are on the $36,802 first place prize. With 65 players remaining, two players were lost before hand-for-hand play could begin. The remaining 63 players are now in the money. The tournament staff are breaking a table, and the clock is now paused. Blinds are currently 4,000/8,000 with a 1,000 ante. Participants must be 50 years or older to play.